Competitive Marketing Intelligence? Yep, There's a Chatbot for That! On the battlefield or in the boardroom, competitive intelligence almost always trumps the lack of it. The military figured that one out a long time ago. Of course, marketers, too, need a glimpse into their rivals' plans. But we don't have it easy, do we, having to use Google and dozens of standalone tools for different aspects of our competitive research? Collecting marketing intelligence on competitors and rivals has long been a headache in search of an aspirin. 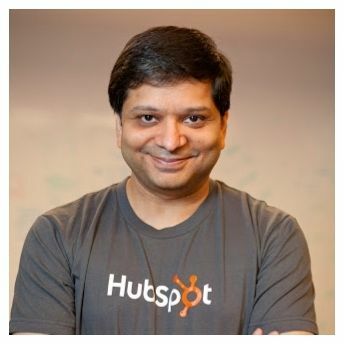 But now comes GrowthBot, a new chatbot from HubSpot co-founder and software developer Dharmesh Shah. He's built a promising—even if a bit unpolished—tool for marketers who are looking to better understand their competitors' strategies and tactics. He explains why: "I'm curious about companies all the time (sometimes, they're competitors; sometimes, they're customers or startups I'm curious about). And, I got tired of having to use a bunch of different websites to get the answers I wanted. So, I built a bot so I could just ask it. Quick, convenient answers." Let's see how helpful GrowthBot is, shall we? We'll investigate a few Boston-area companies—teams I'm familiar with and respect—to see what we can learn from the outside looking in via GrowthBot. To follow along with these examples, you'll want to add GrowthBot to Slack or message hello to @GrowthBot on Facebook Messenger. When you're doing research, using a company's URL to identify it seems to work best, in my experience. James A. Gardner is a Boston-area sales and marketing professional with a passion for consumer technologies and all things health, Web, and social.